This specification covers electric-fusion-welded austenitic chromium-nickel stainless steel pipe suitable for corrosive or high-temperature service, or both, or for general applications. The pipes shall be sorted into five different classes. Class 1 pipes shall be double welded by processes employing filler metal in all passes and shall be completely radiographed. Pipes of Class 2 shall be double welded by processes employing filler metal in all passes with no radiography. Both Class 3 and Class 4 pipes shall be single welded except that the weld pass of the latter exposed to the inside pipe surface may be without the addition of filler metal. Pipes of Class 5 shall be double welded by processes employing filler metal and shall be spot radiographed. Weld defects shall be repaired by removal to sound metal and rewelding. Subsequent heat treatment shall be as required on the original welds. The finished pipes shall be subjected to transverse tension test, transverse guided-bend weld test, and hydrostatic test. 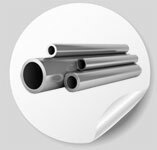 1.1 ASTM A358 specification covers electric-fusion-welded austenitic chromium-nickel stainless steel pipe suitable for corrosive or high-temperature service, or both, or for general applications. 1.2 ASTM A358 specification covers the grades of alloy and stainless steel listed in Table 1. The selection of the proper grade and requirements for heat treatment shall be at the discretion of the purchaser, dependent on the service conditions to be encountered. (A) New designation established in accordance with Practice E527 and SAE J1086. (B) Choice of American Welding Society specification depends on the welding process used. (C) Minimum carbon content of the filler metal shall be 0.040 mass %. (D) In previous editions, S30600 was incorrectly shown as S01815. (E) Common name, not a trademark, widely used, not associated with any one producer. (F) These filler metals have a high nickel content and, therefore, lower creep strength than the parent metal at temperatures exceeding about 1470 °F [800 °C], and its resistance to sulphurous media is inferior in certain cases. 1.3.1 Class 1—Pipe shall be double welded by processes employing filler metal in all passes and shall be completely radiographed. 1.3.2 Class 2—Pipe shall be double welded by processes employing filler metal in all passes. No radiography is required. This guide covers standard specification for seamless, straight-seam welded, and cold worked welded austenitic stainless steel pipe intended for high-temperature and general corrosive service. Several grades of steel shall conform to the required chemical composition for carbon, manganese, phosphorus, sulfur, silicon, chromium, nickel, molybdenum, titanium, columbium, tantalum, nitrogen, vanadium, copper, cerium, boron, aluminum, and others. All pipes shall be furnished in the heat-treated condition in accordance with the required heat treating temperature and cooling/testing requirements. Tensile properties of the material shall conform to the prescribed tensile strength and yield strength. The steel pipe shall undergo mechanical tests such as transverse or longitudinal tension test and flattening test. Grain size determination and weld decay tests shall be performed. Each pipe shall also be subjected to the nondestructive electric test or the hydrostatic test. 1.1 ASTM A312 covers seamless, straight-seam welded, and heavily cold worked welded austenitic stainless steel pipe intended for high-temperature and general corrosive service. NOTE 1: When the impact test criterion for a low-temperature service would be 15 ft·lbf [20 J] energy absorption or 15 mils [0.38 mm] lateral expansion, some of the austenitic stainless steel grades covered by this specification are accepted by certain pressure vessel or piping codes without the necessity of making the actual test. For example, Grades TP304, TP304L, and TP347 are accepted by the ASME Pressure Vessel Code, Section VIII Division 1, and by the Chemical Plant and Refinery Piping Code, ANSI B31.3, for service at temperatures as low as −425 °F [−250 °C] without qualification by impact tests. Other AISI stainless steel grades are usually accepted for service temperatures as low as −325 °F [−200 °C] without impact testing. Impact testing may, under certain circumstances, be required. For example, materials with chromium or nickel content outside the AISI ranges, and for material with carbon content exceeding 0.10 %, are required to be impact tested under the rules of ASME Section VIII Division 1 when service temperatures are lower than −50 °F [−45 °C]. (2) Other nominal diameter and wall thickness subject to the approval of vendor and purchaser.